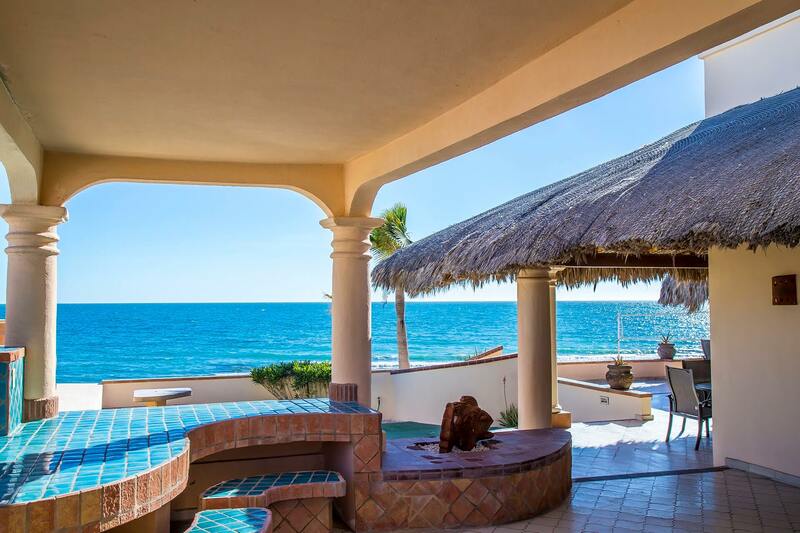 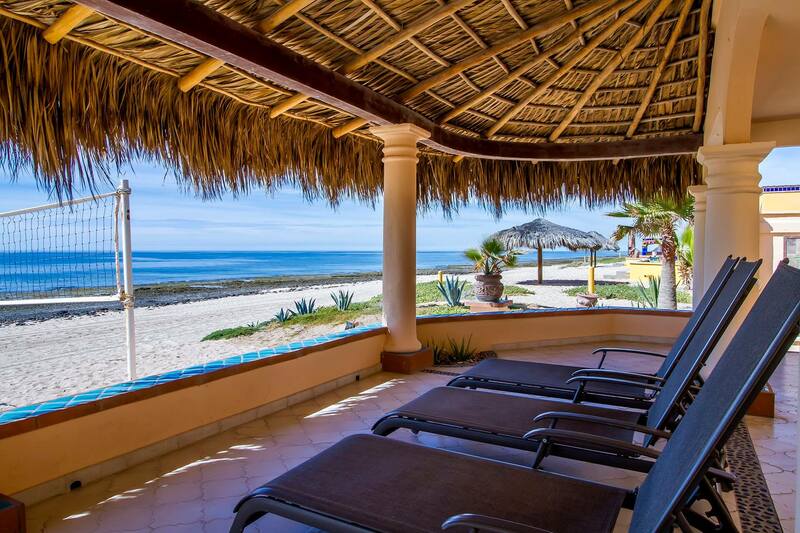 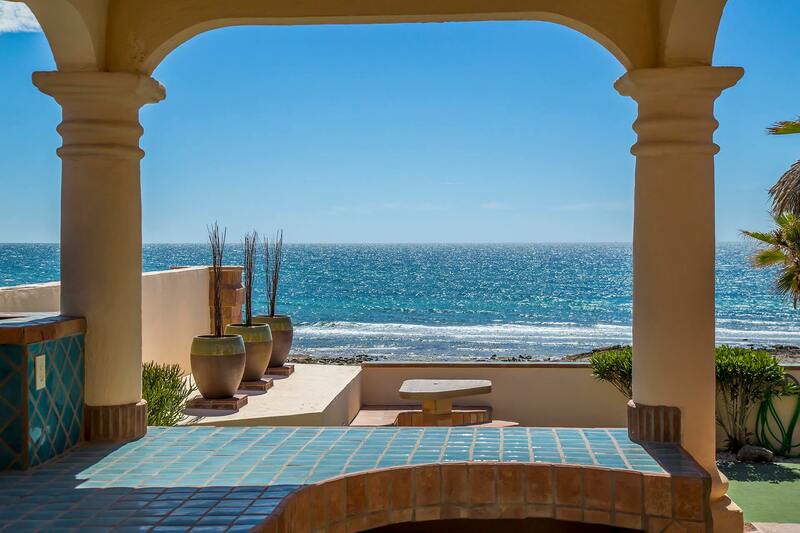 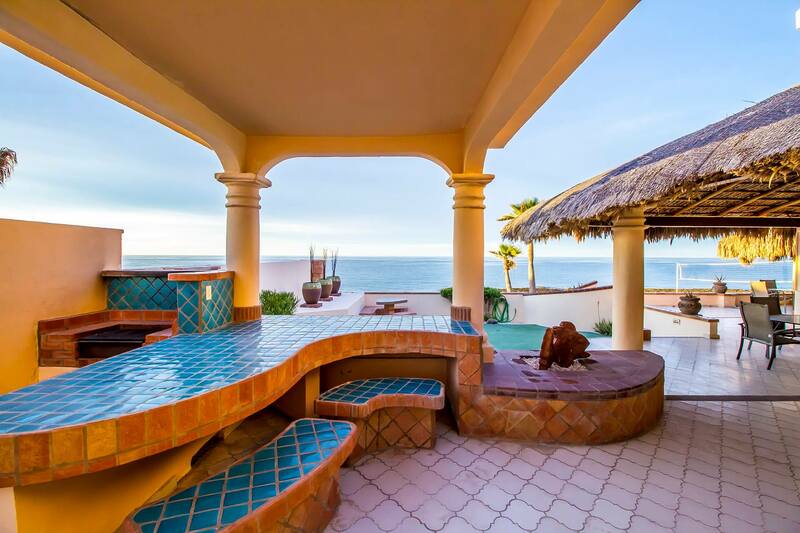 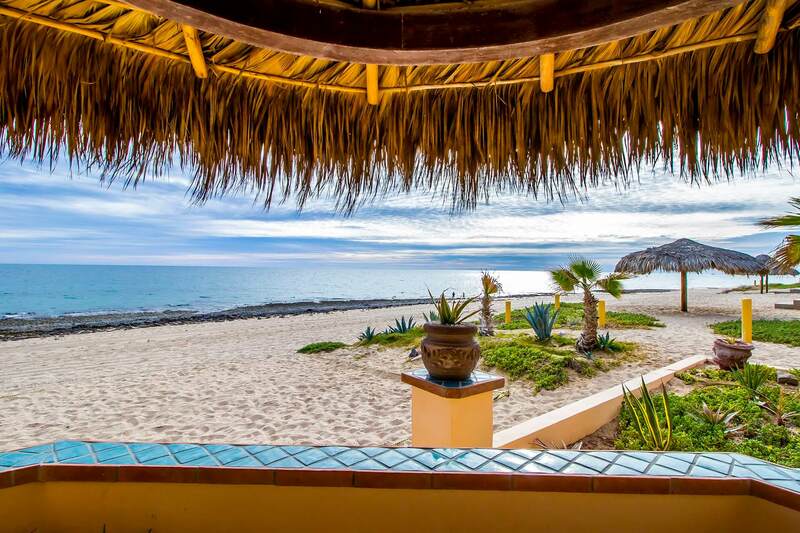 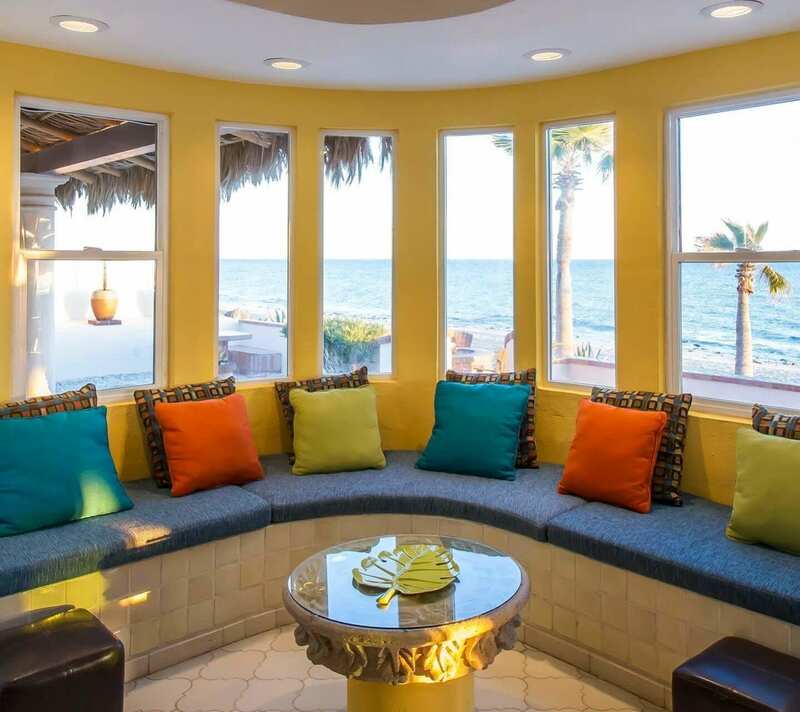 Casa Joya is the main beachfront home that anchors our very special La Paloma del Mar estate. 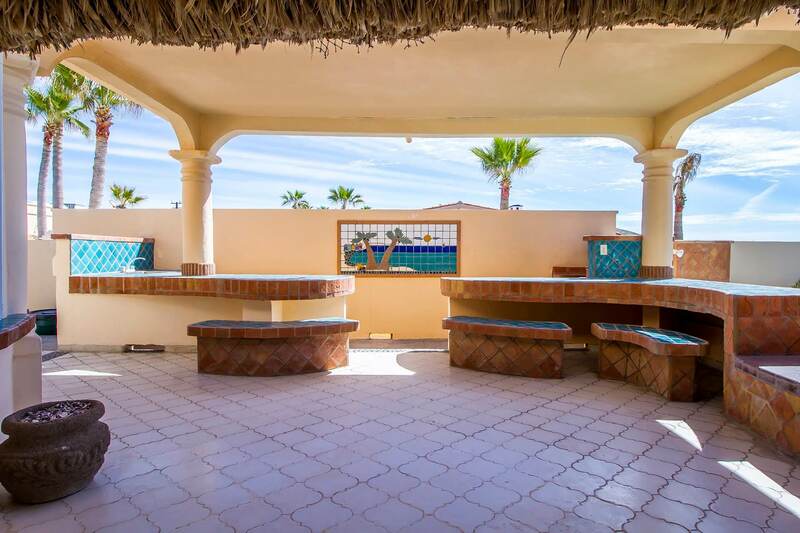 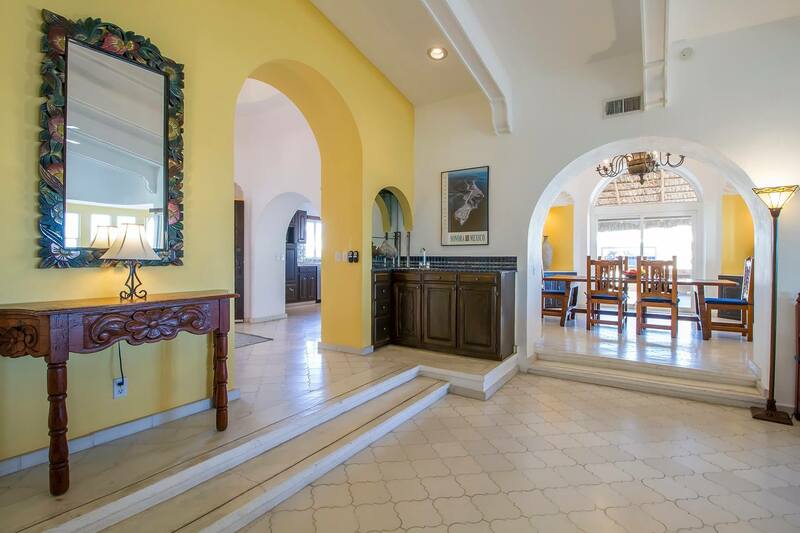 Casa Joya features 4 large bedrooms, 4 baths and fantastic gathering spaces both inside and on it's beautiful beach decks. 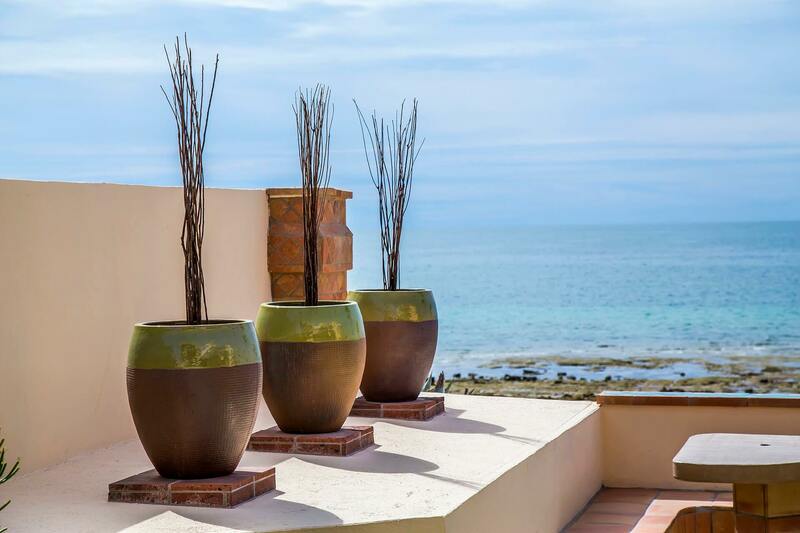 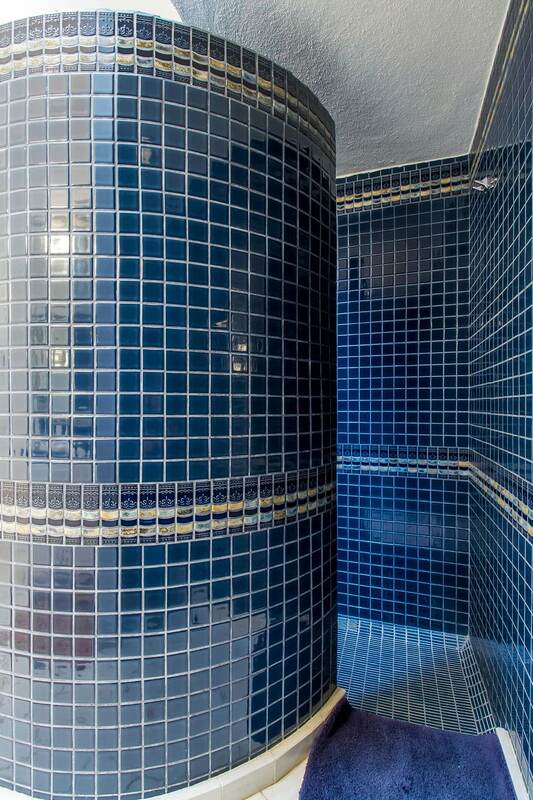 With 3,600 sq feet, it's design and ambiance will make your beachfront experience simply the best! 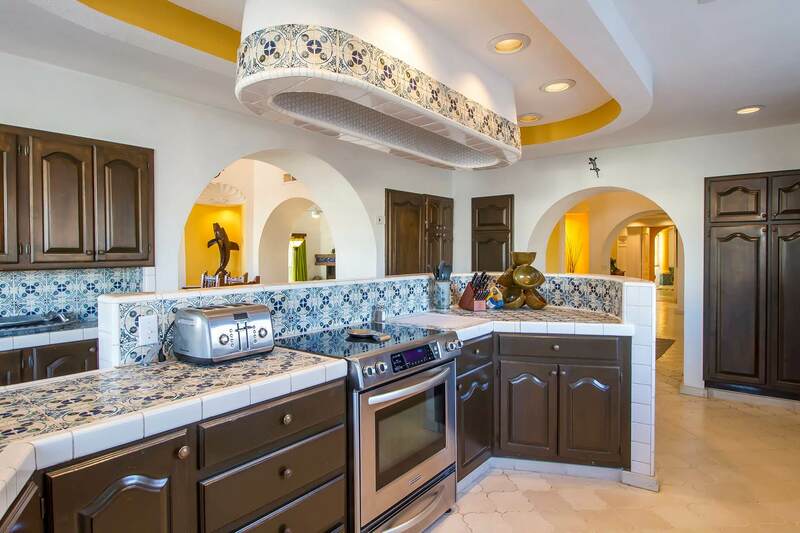 Wide open spaces, inside and out! 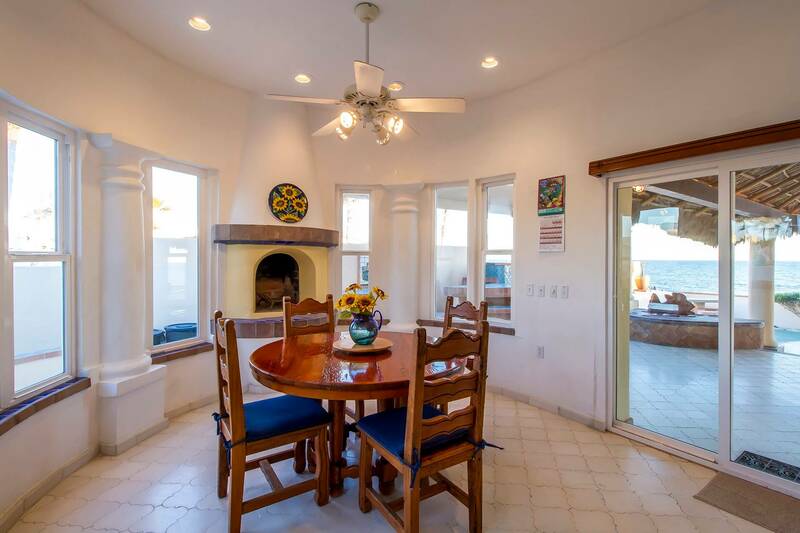 Below, the kitchen and breakfast nook with fireplace. 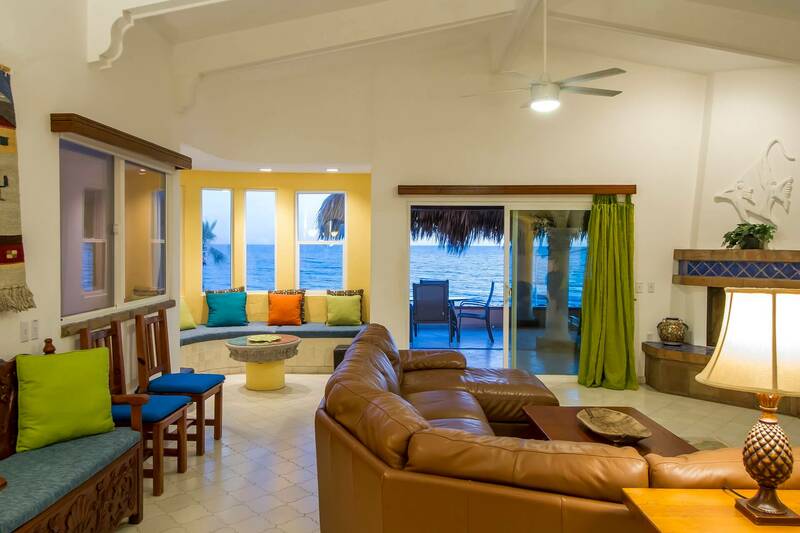 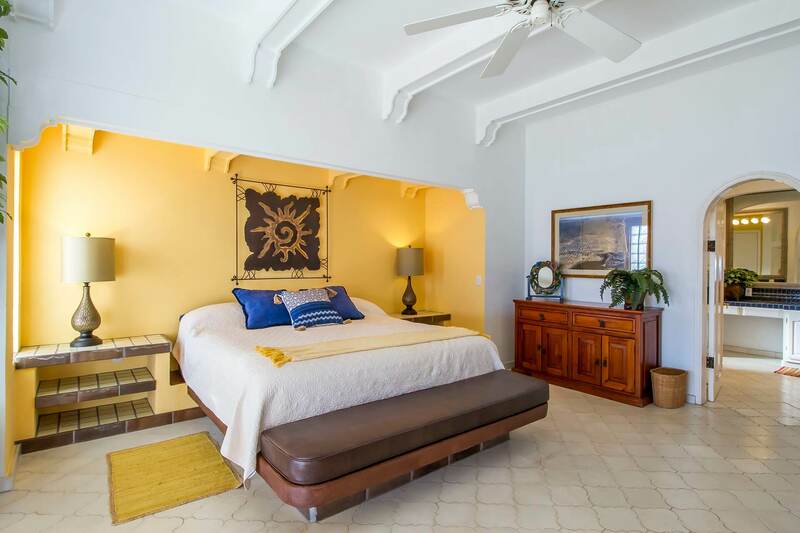 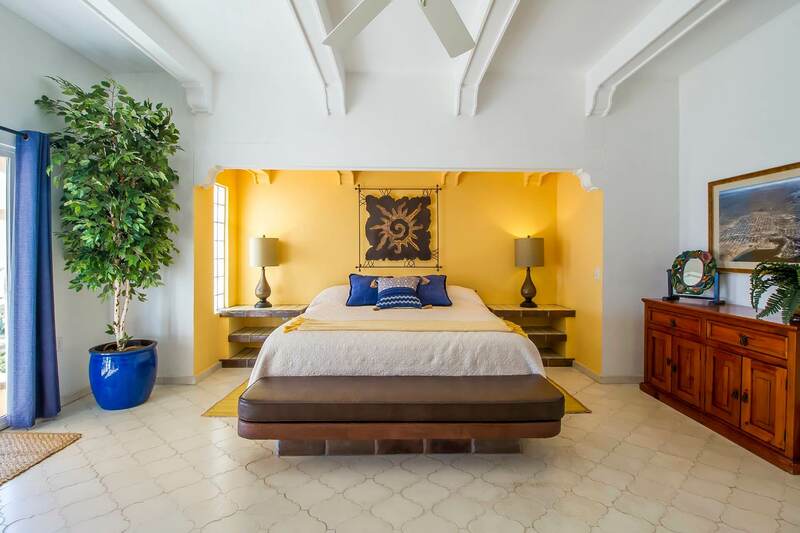 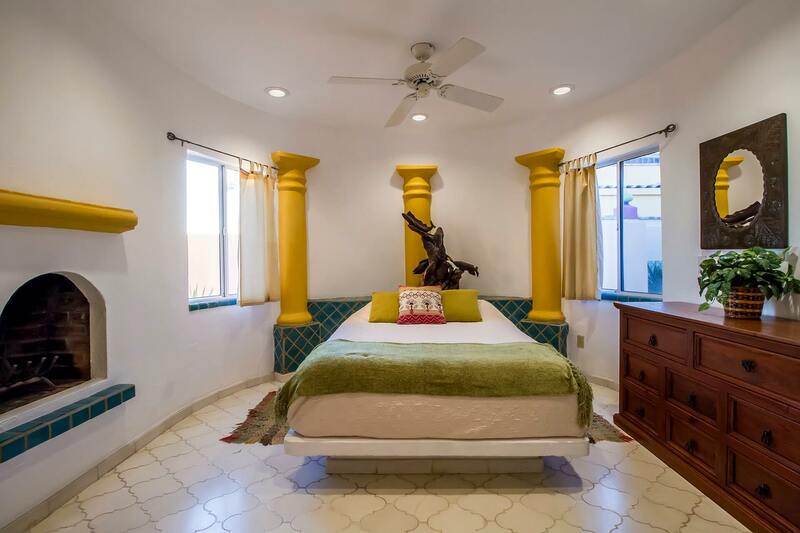 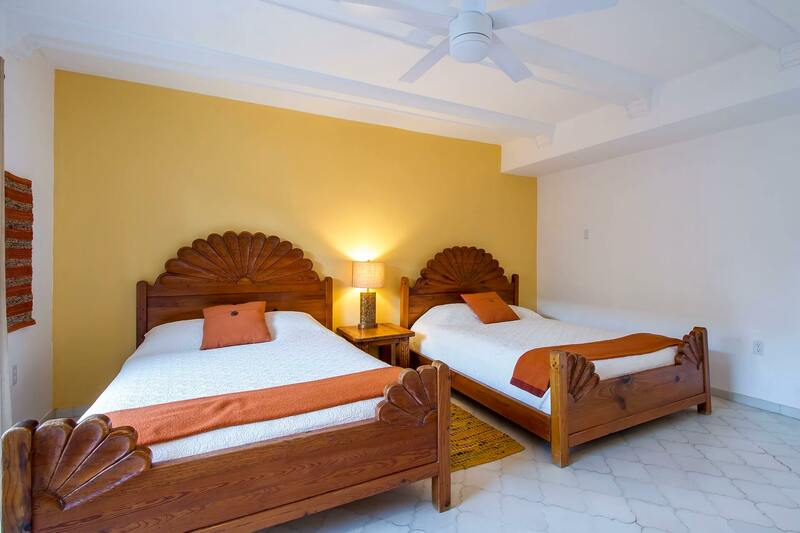 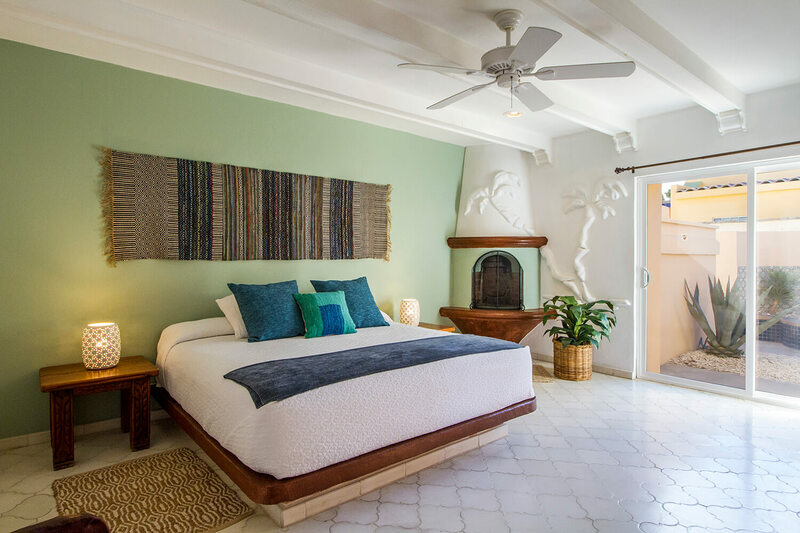 Casa Joya offers a very spacious beachfront master bedroom with fireplace and ensuite bathroom. 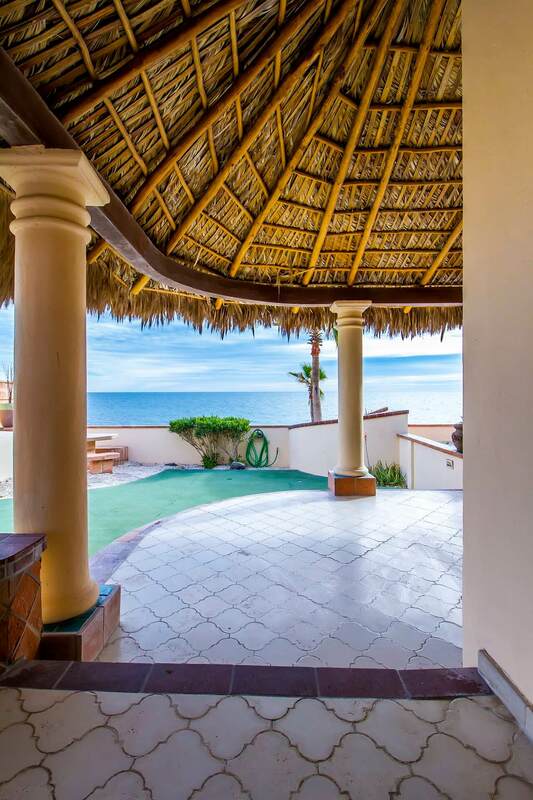 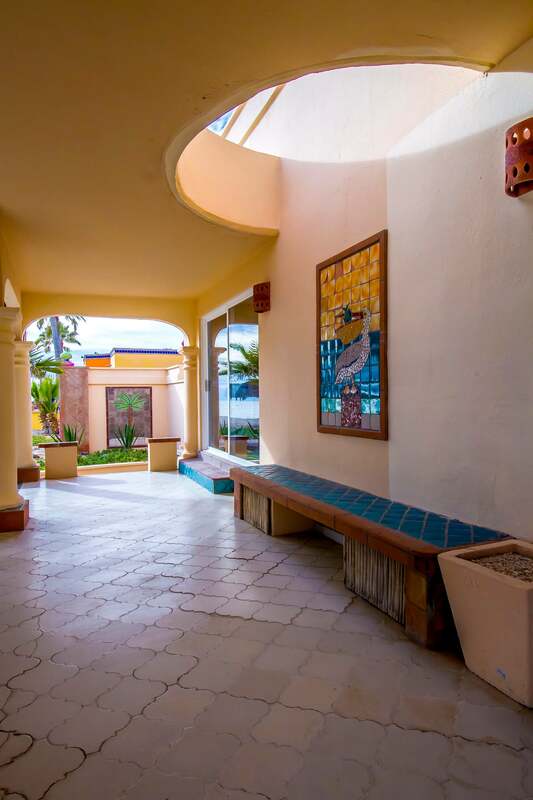 Casa Joya is part of La Paloma del Mar, a beachfront estate situated on 1.5 acres of walled privacy within the guard-gated community of Las Conchas. 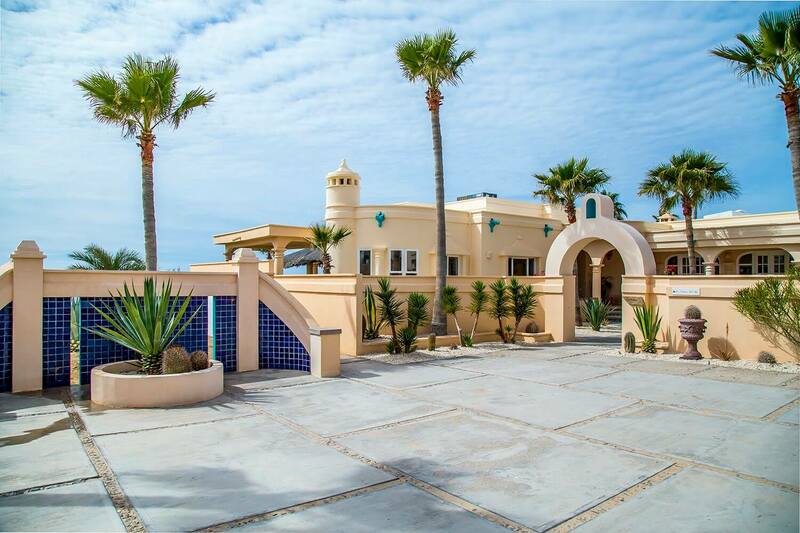 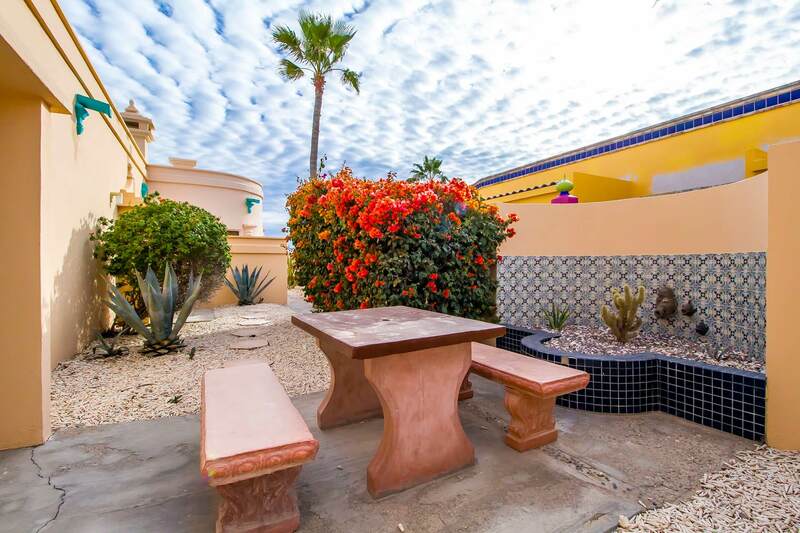 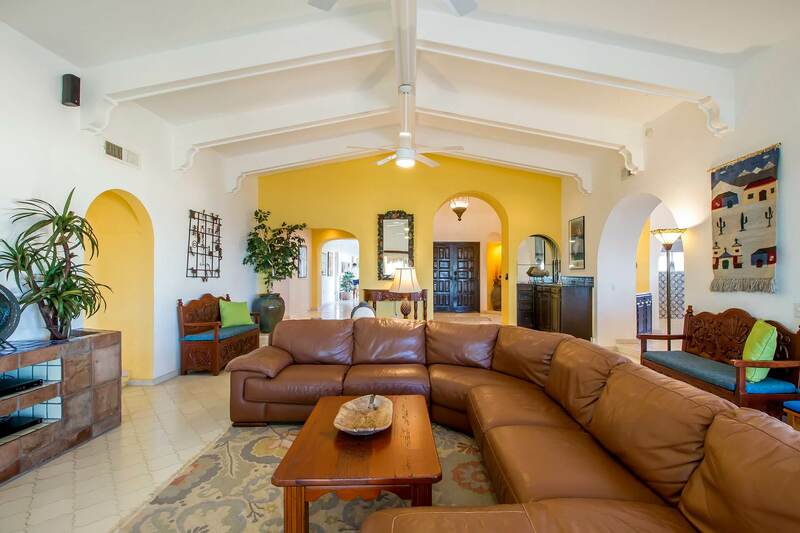 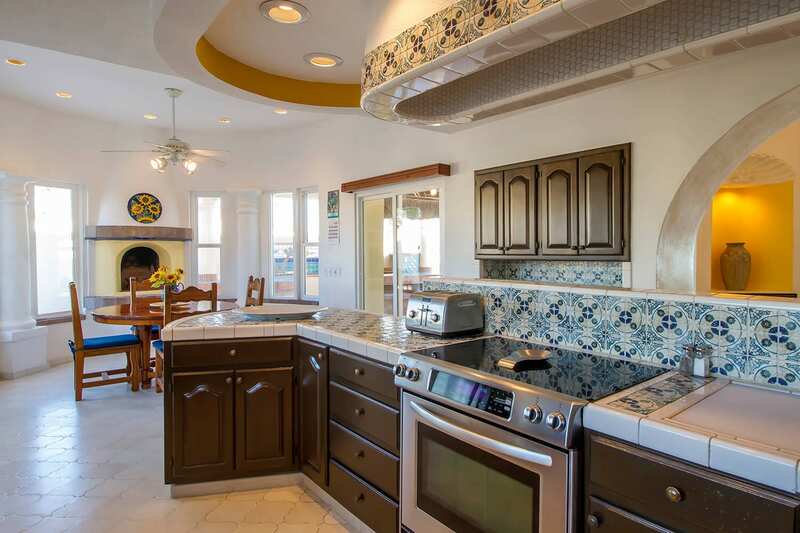 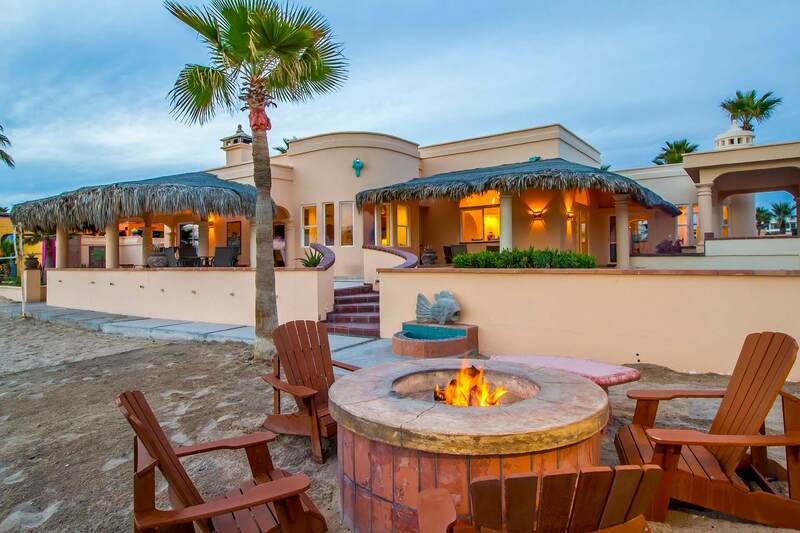 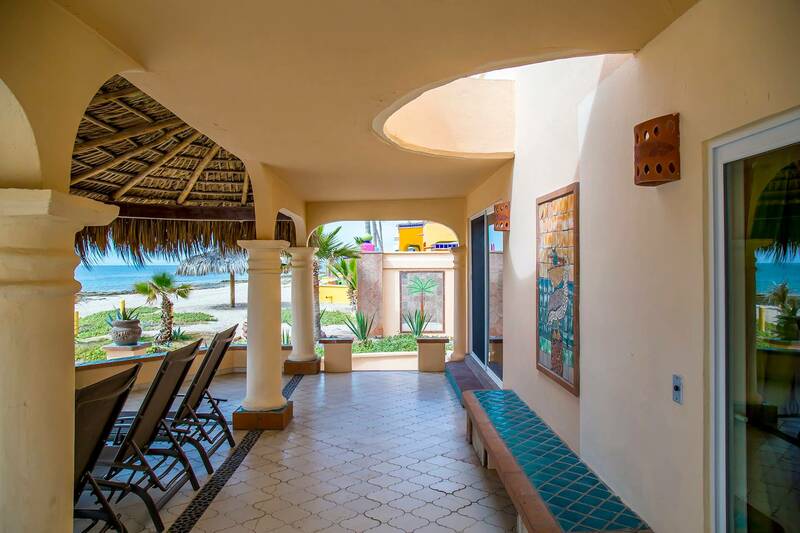 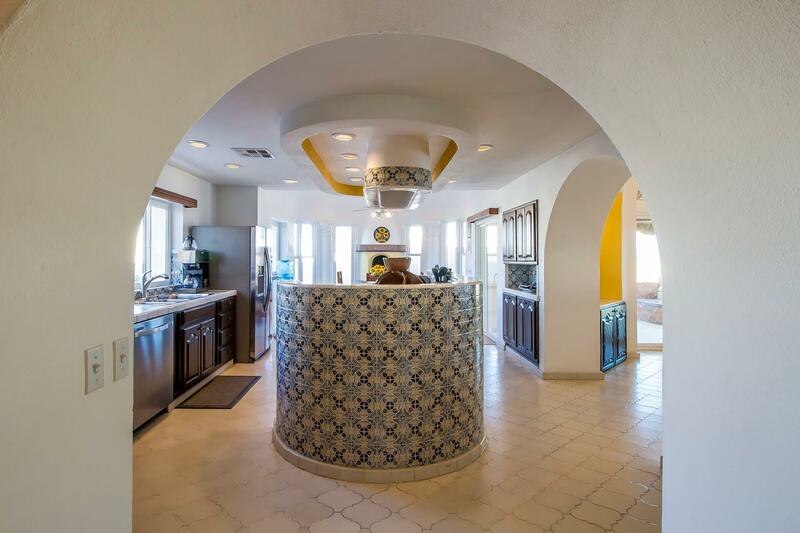 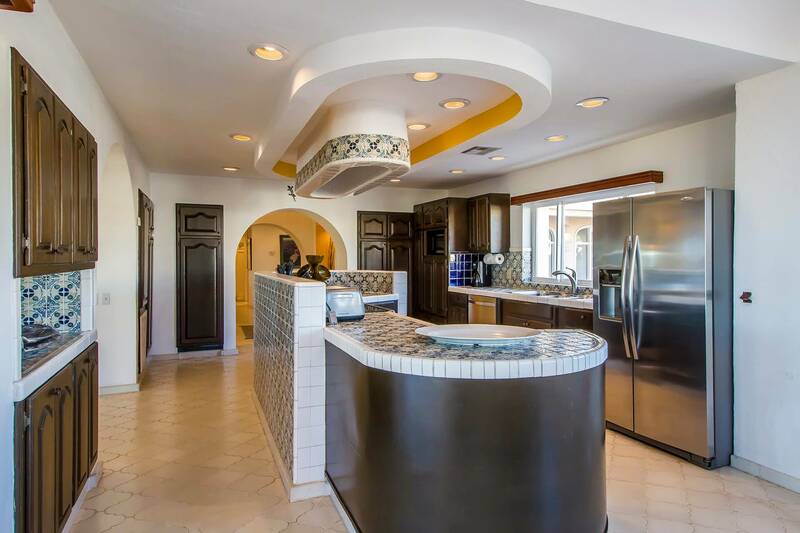 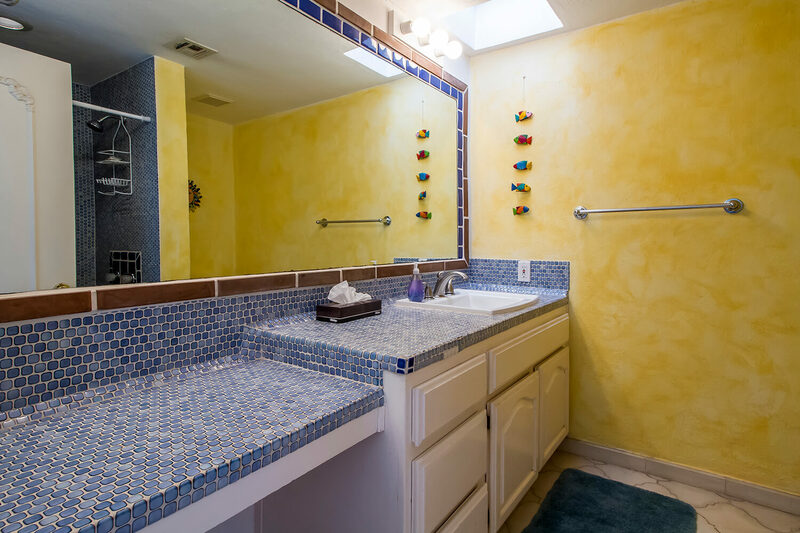 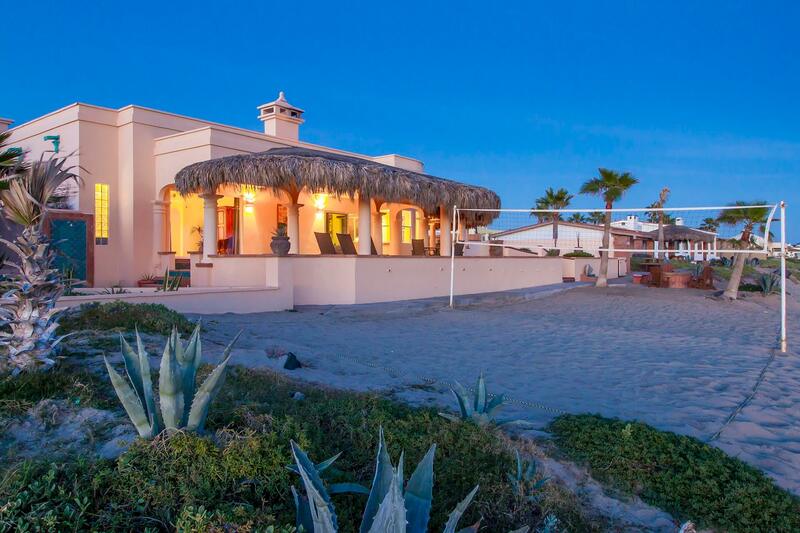 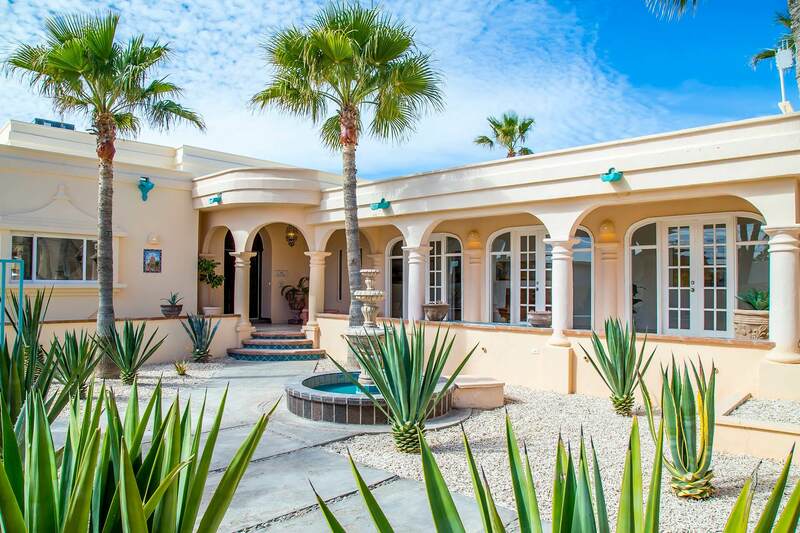 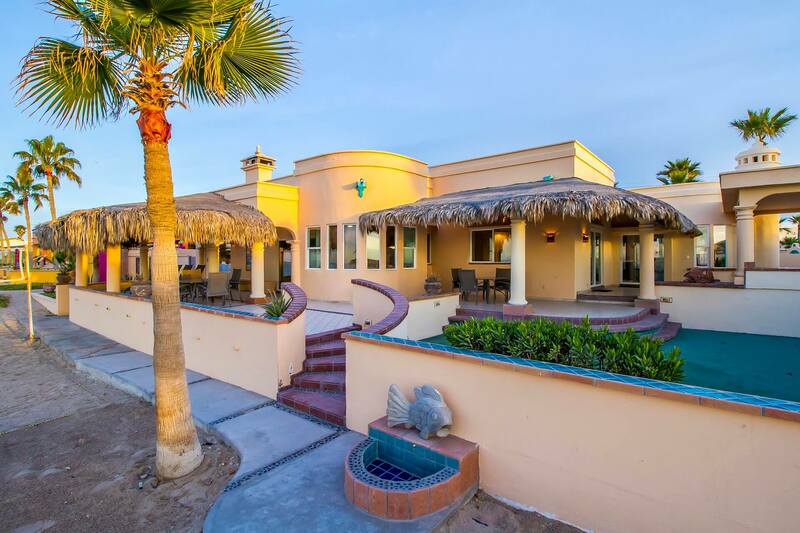 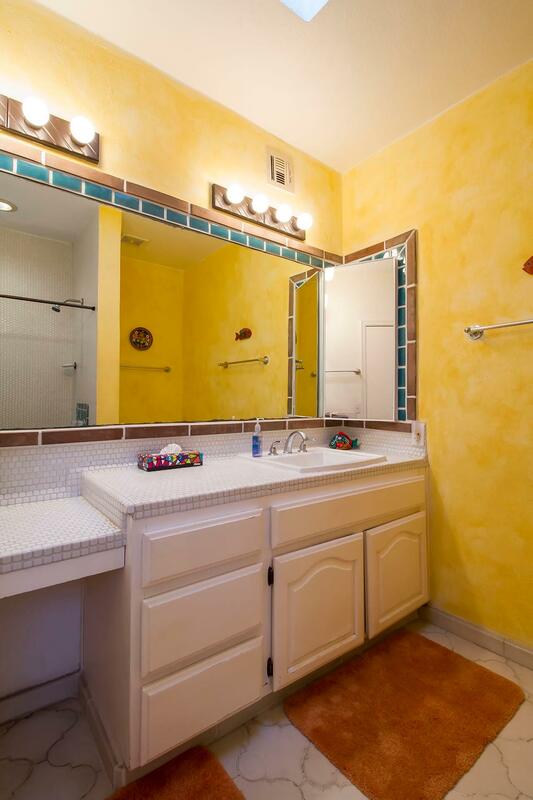 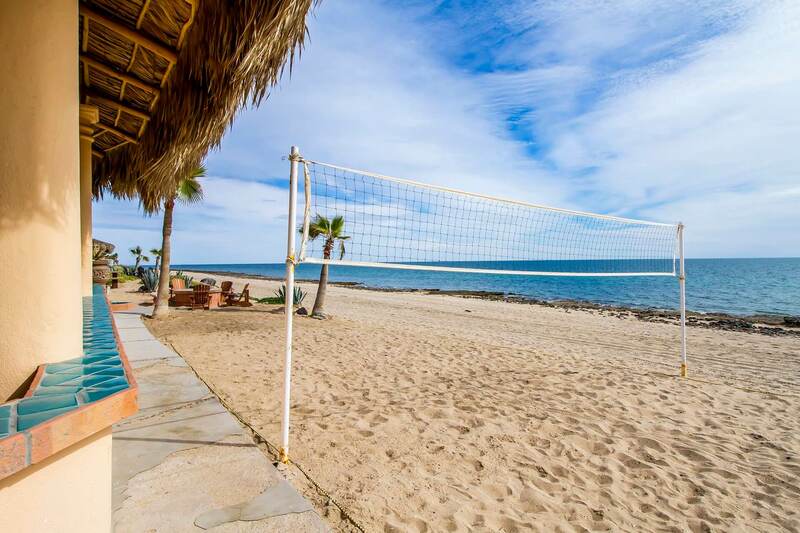 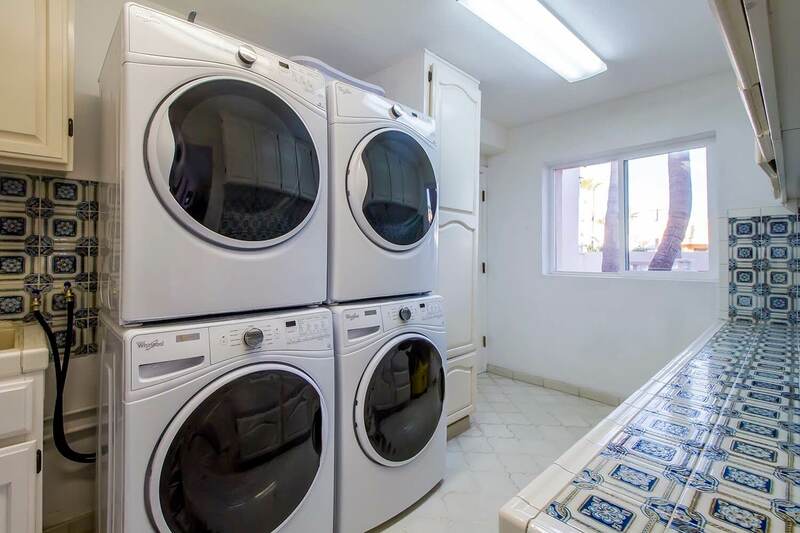 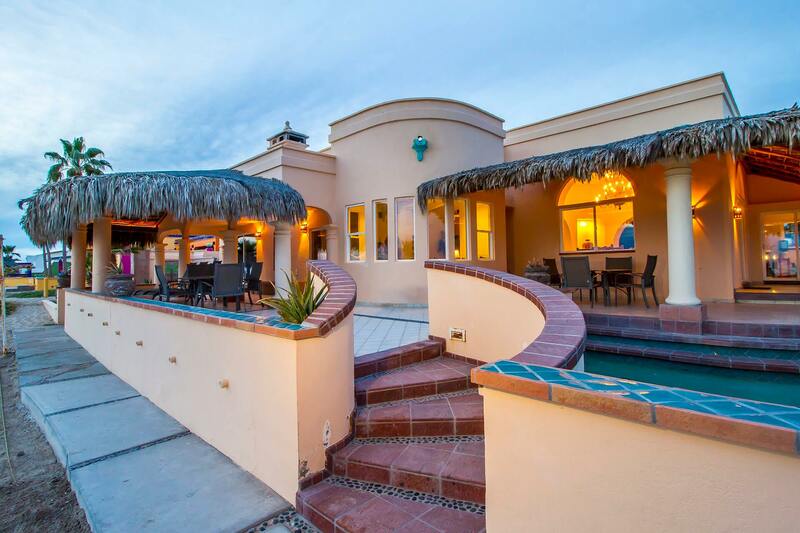 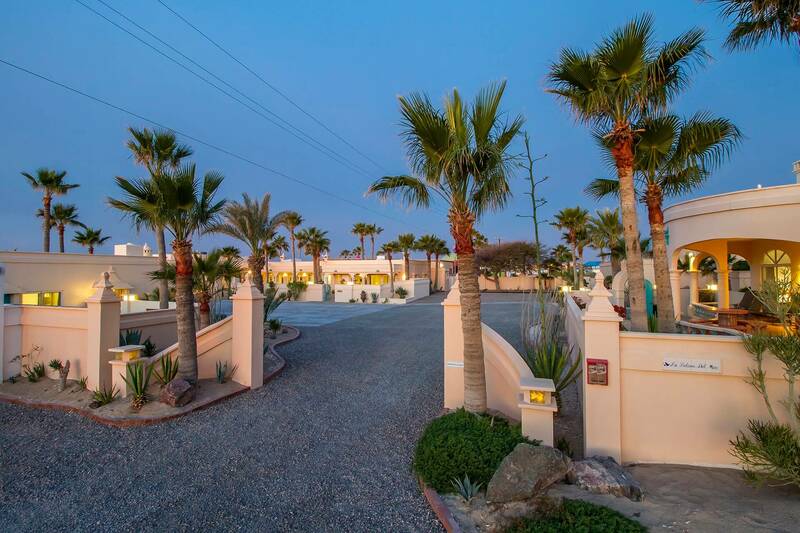 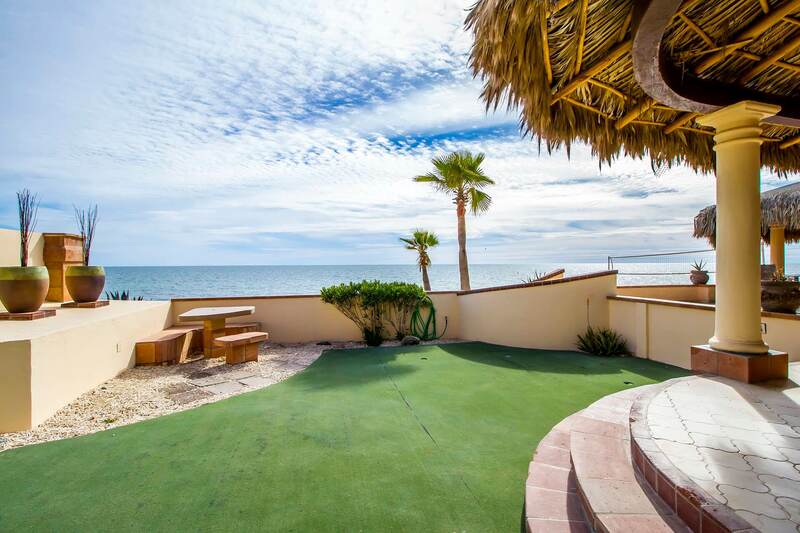 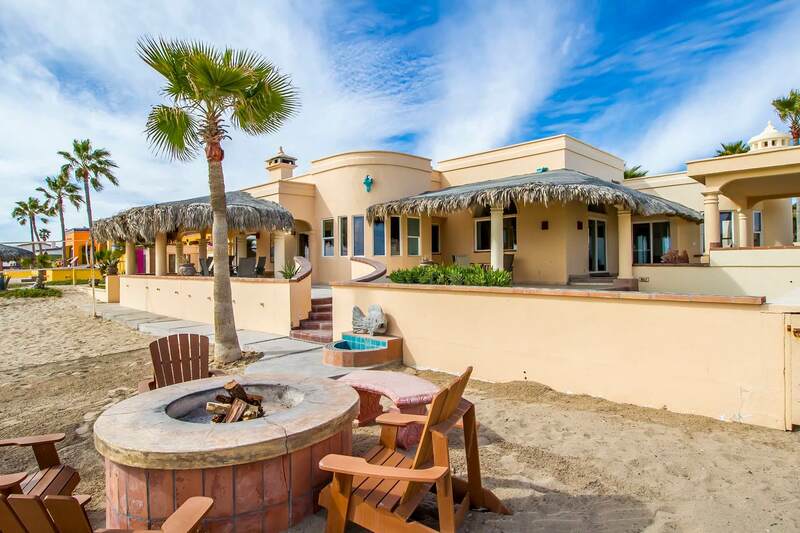 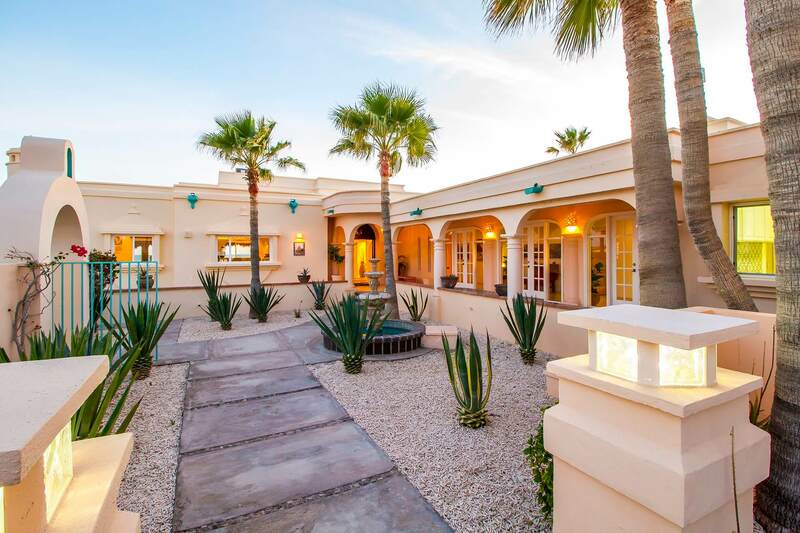 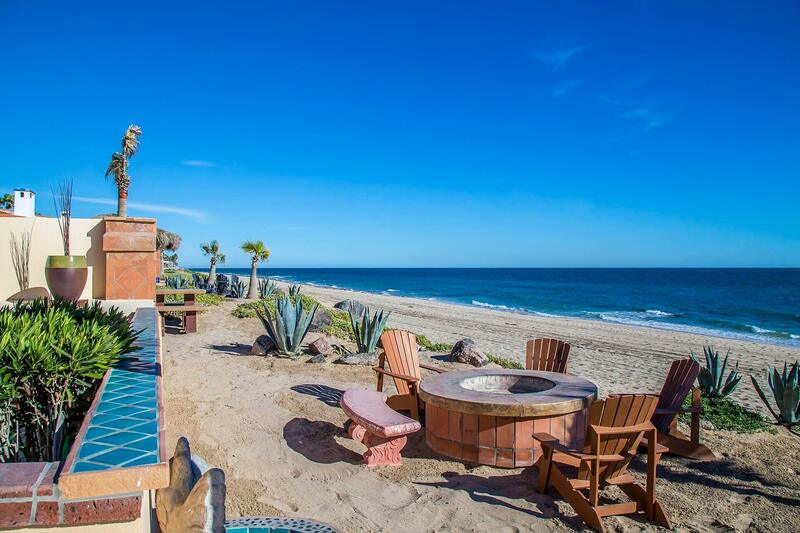 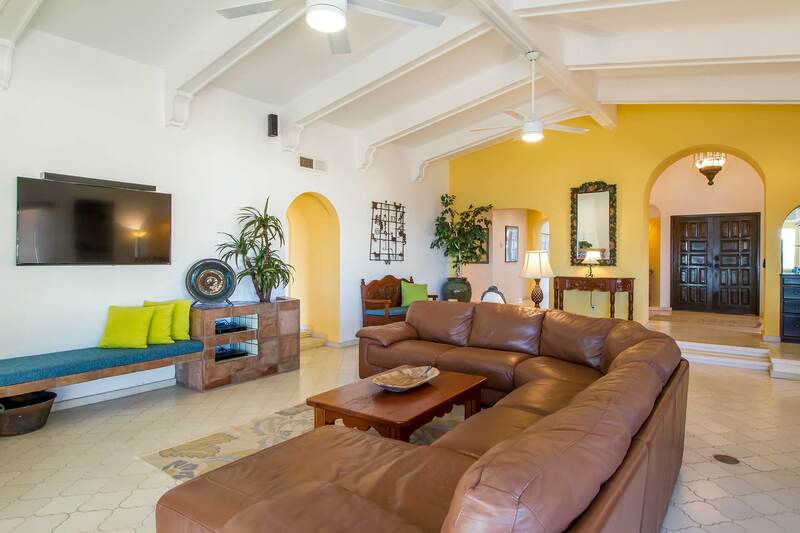 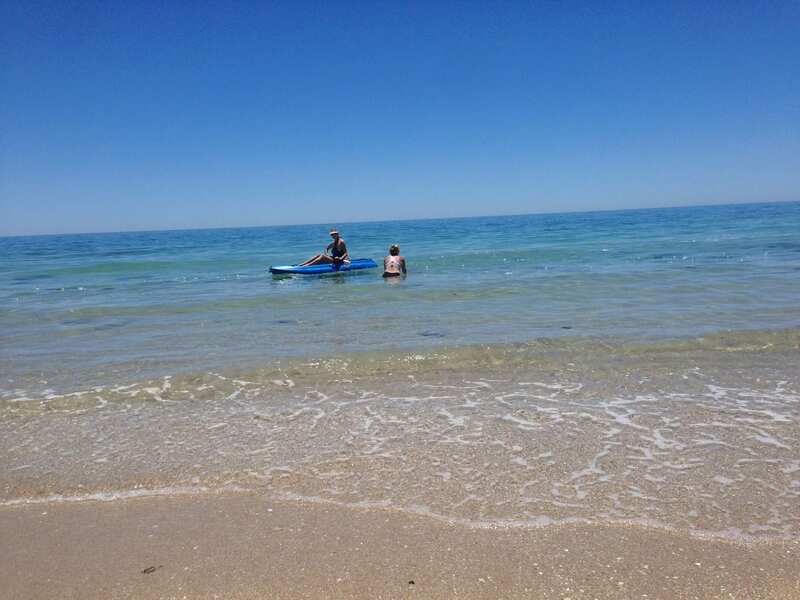 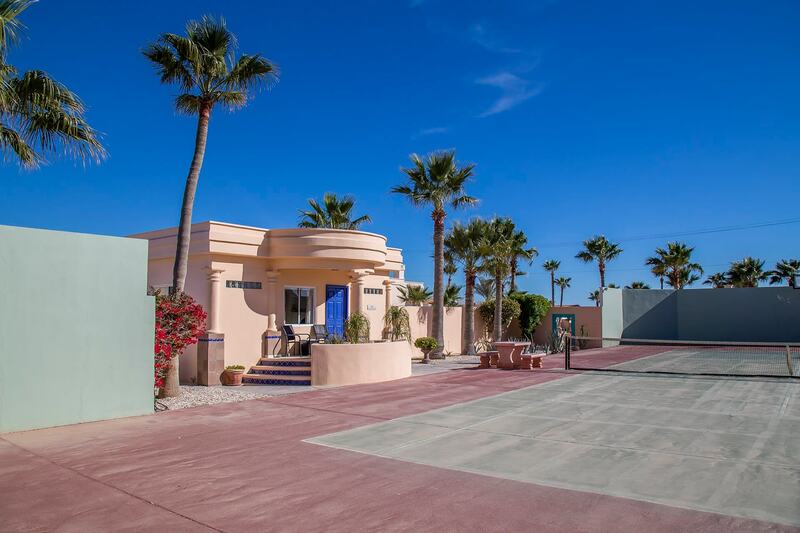 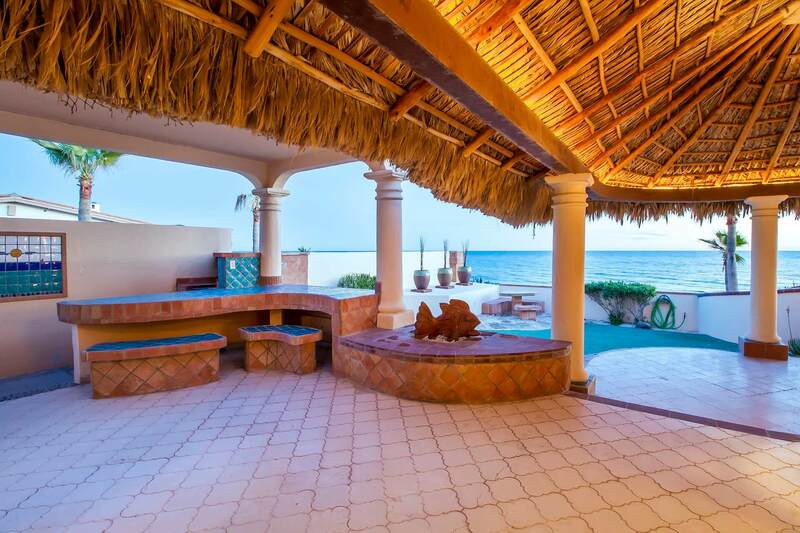 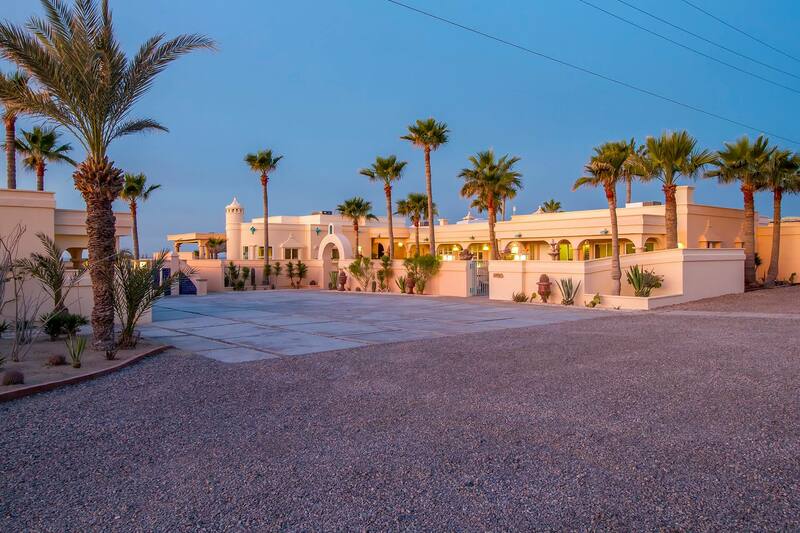 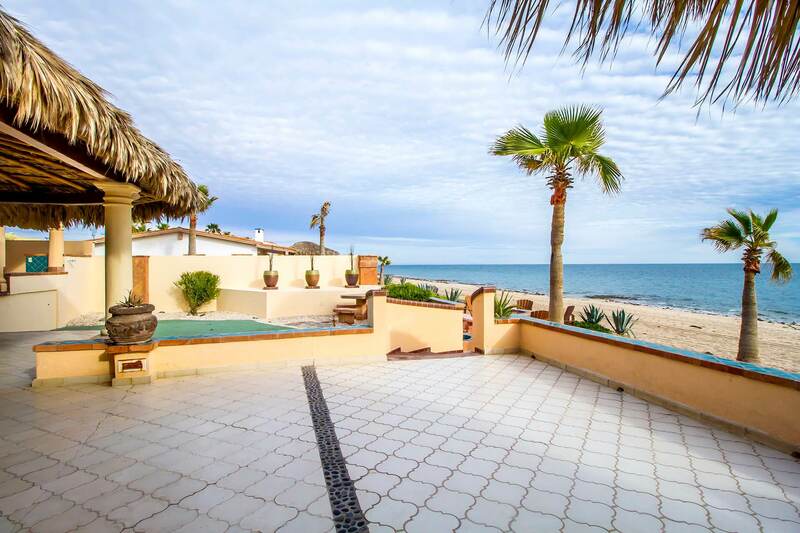 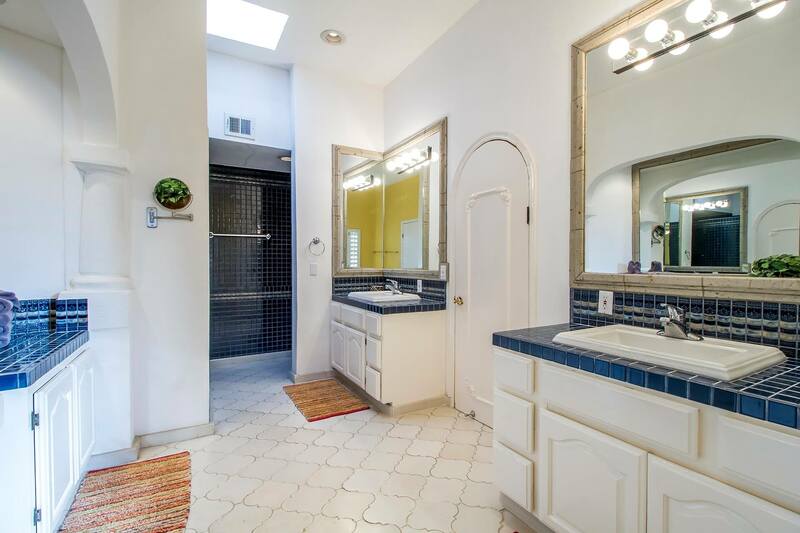 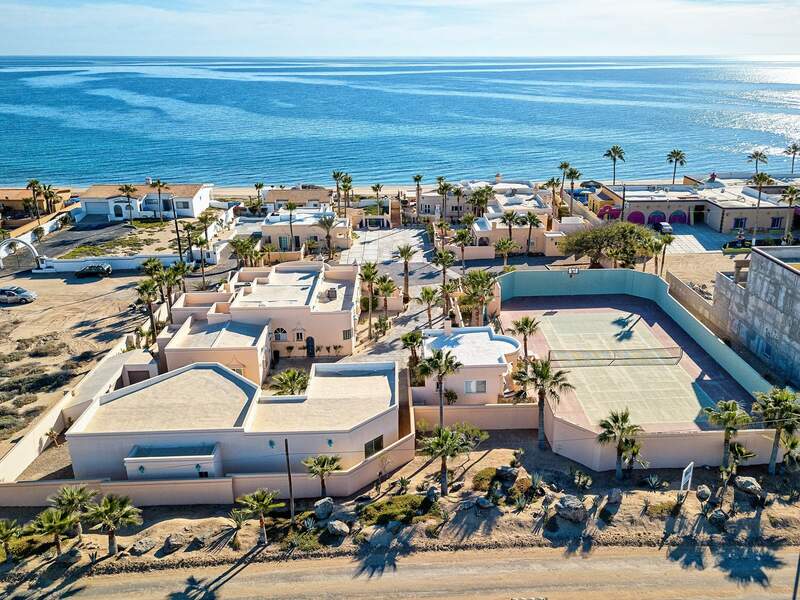 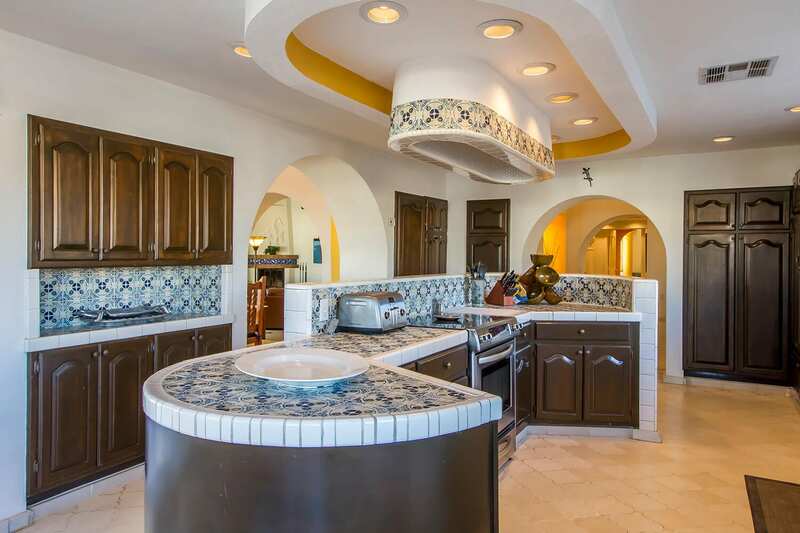 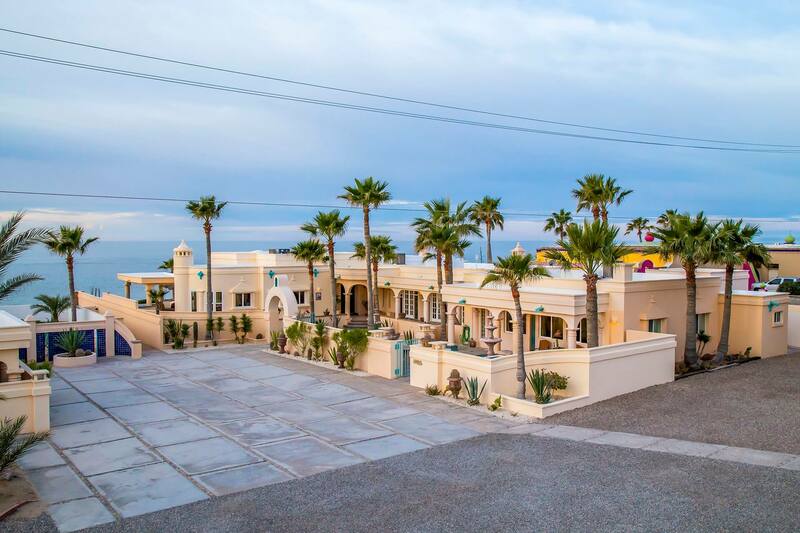 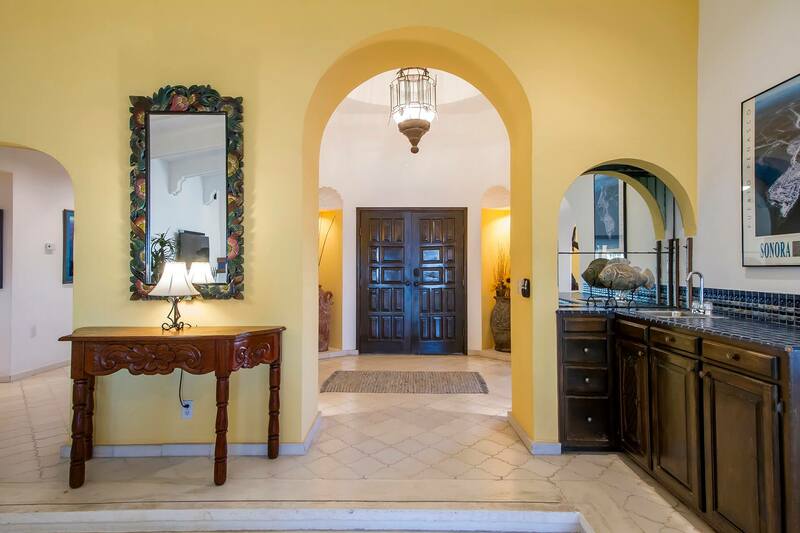 La Paloma del Mar features 2 main homes and 4 guest homes. 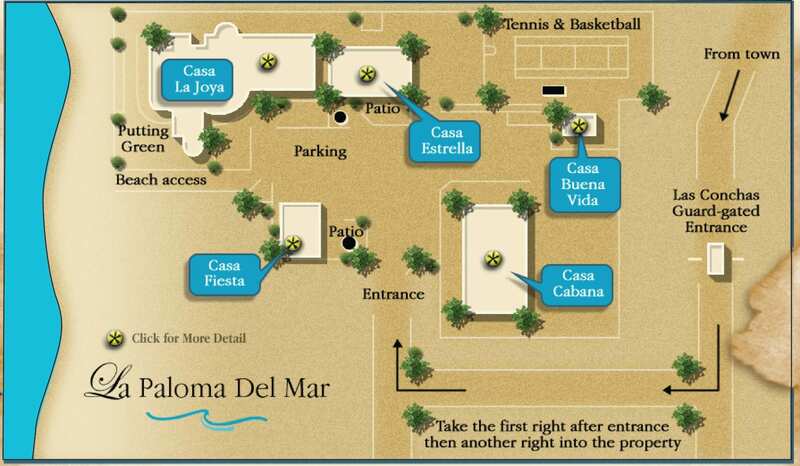 Below is the Casa Joya floor plan and the La Paloma del Mar site plan as well as a birds-eye view of the property. 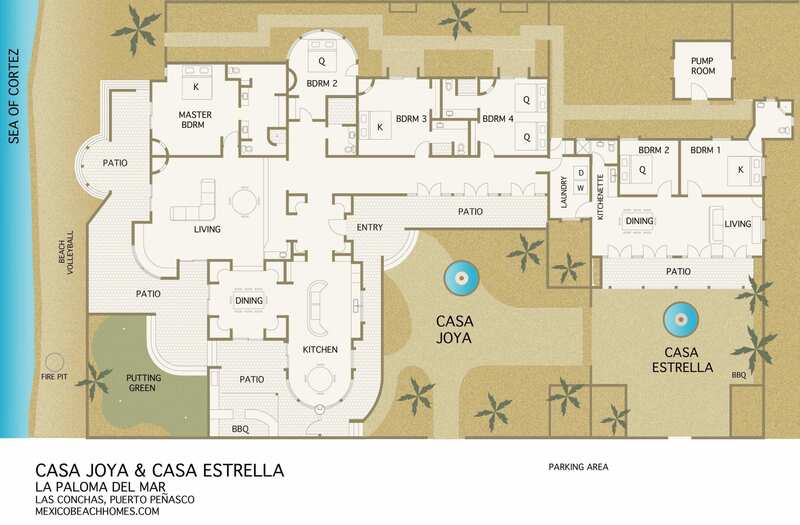 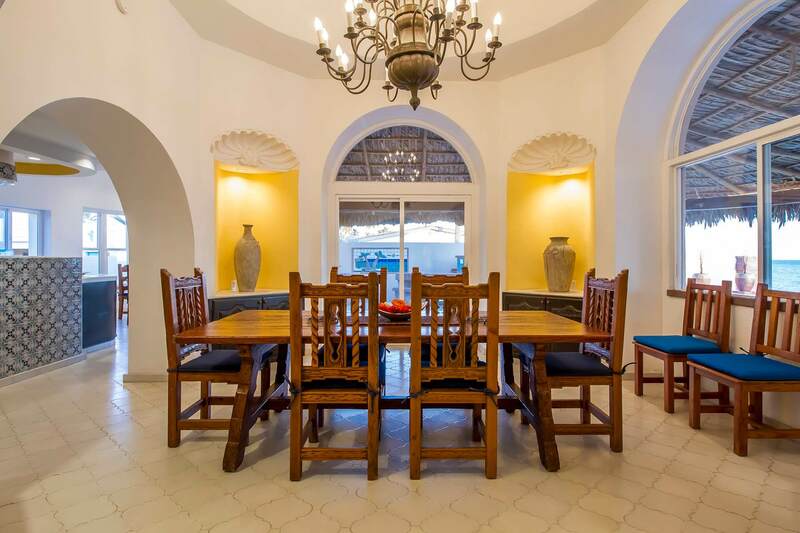 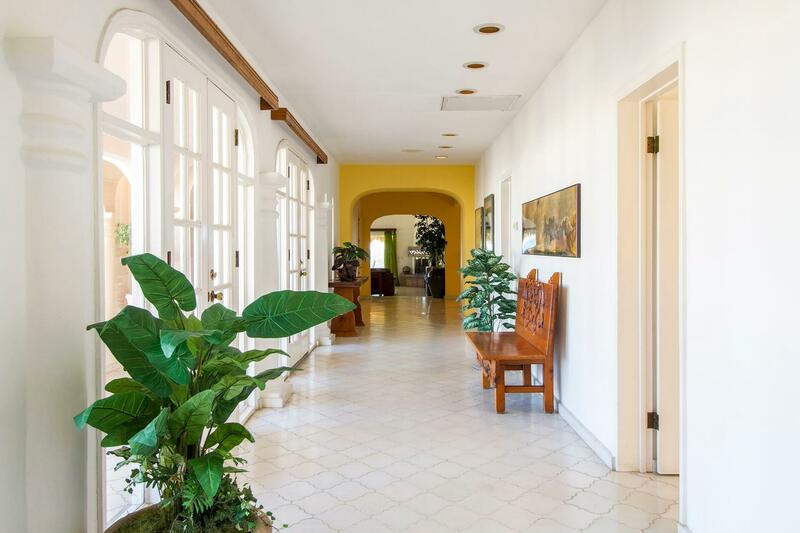 Interested in renting Casa Joya?